MTM2.com • View topic - Anyone know how to export trucks to view in Vive? Anyone know how to export trucks to view in Vive? Post subject: Anyone know how to export trucks to view in Vive? I got an HTC Vive when they came out a few months ago and have really been enjoying it. Someone came up with a program that lets you view Sketchup models in VR, very slick, view as a model on a table, then zoom in to view scale size. When I was looking at some it hit me that there might be a way to view MTM 2 trucks in VR also, would be so cool to walk around a truck and feel the scale of it. I tried the BinEdit export to .obj files, but it loses the texture mapping. Am I just doing it wrong? Post subject: Re: Anyone know how to export trucks to view in Vive? 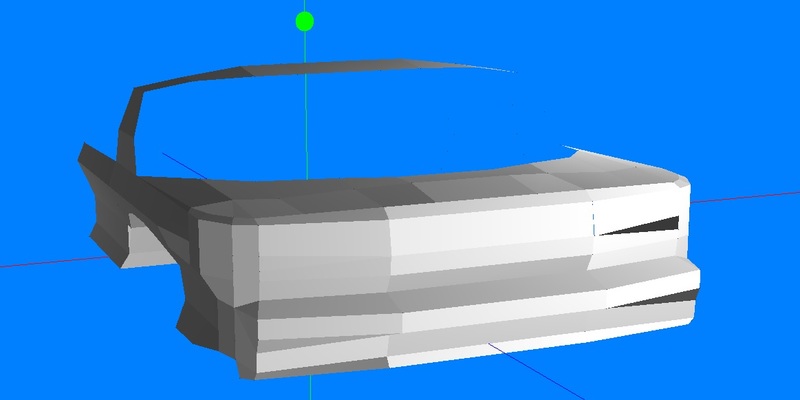 I used to work with MTM2 models in a program called Lightwave modeler, it's a 3D CAD modeling program..this was like 10 years ago back when I was actually interested in making trucks and stuff, but I only made a couple models with it, here's the thing: With that program, I could export 3D models from binedit and work with the files in Lightwave and make extremely detailed MTM2 models, making great looking models and stuff, like it's easier to work with than binedit, make more polys in a truck with more detail, it was a way better modeling program than Binedit. The problem though was you're right, once you export the model to a different program, the texture is gone. You try to import it back into binedit, you got no texture, or so that's the problem I had with Lightwave..I mean maybe you could do it with your pgoram, I could be wrong..but, I had a problem with it too, I used Lightwave, but this is modern times, so "maybe" you could do it? Like I said, this was like 10-15 years ago back in like 2002 or so, that's about when I was interested in modeling trucks. That's when I had the texture problem though. Like I said, no texture because I used Lightwave not Binedit, and also..
..and this one is my favorite because this is why I even did 3D modeling..the finished product ...though I don't know HOW I could have forgotten to do the grille on the front. Looks like he modified the length of the cab too. The Camaro is incomplete and the Dodge Ram is finished, strange but I don't know how that happened, I guess I sort of lost interest in it, like it became too much work or I ended up going back to school and lost interest in it, or the thought of having to texture the Lightwave models for MTM2 took my mind and I didn't want to do it any more, but it was a fun interesting hobby. I probably could have done that for a job if the pay was right, who knows how much those guys make. I'm a little slow at it though lol, gotta have patience for it though that's for sure..unless it's just me. As far as I remember, OBJ files have no texture mapping info. 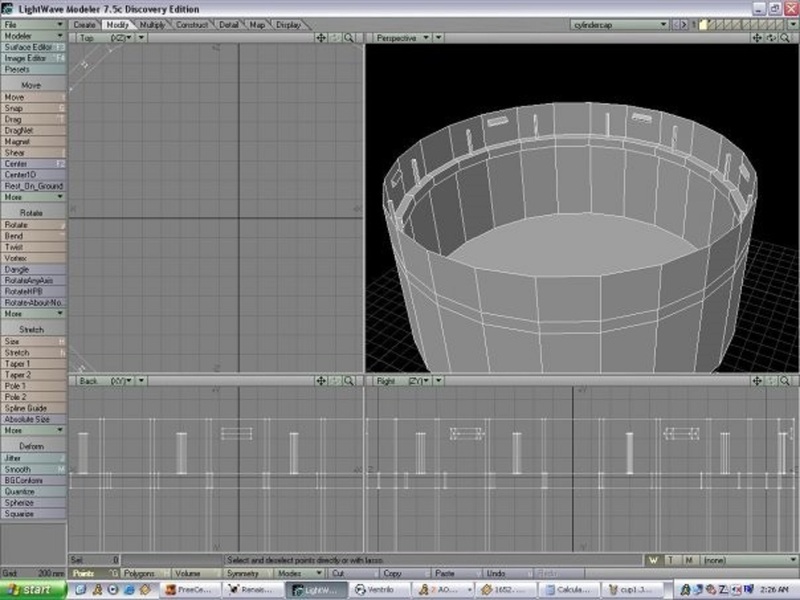 I remember using Sketchup for modeling, then importing it in Binedit in OBJ format, and mapping it from there. I guess your best shot is using Z-Modeler 1 to open the BIN file and then try to convert it to a format that keeps the mapping. 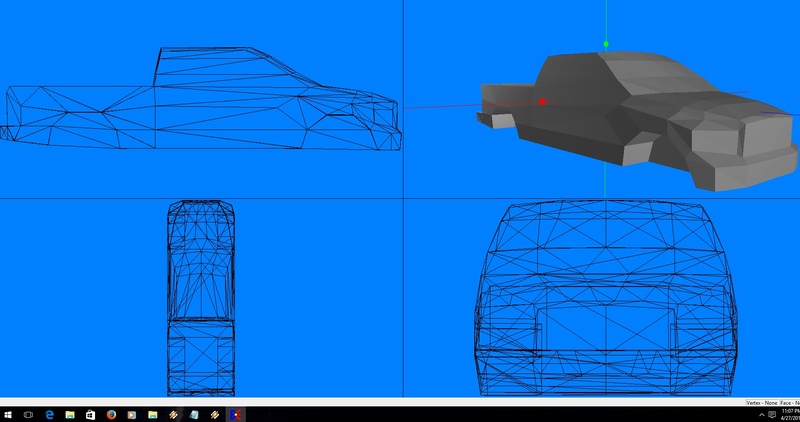 Wow, I didn't know that you can use Google Sketchup for making custom mods for Terminal Reality's video games. You can use whatever 3D modelling software you want, as long as you can export your work to Wavefront OBJ format. Then you can import it in Binedit. Cool! I never knew the game was that versatile to modelling either. Just tried to install it again right now and the installation cancels itself before it's finished, saying "your system has not been modified" ...??.. ???? Have you tried a XP virtual machine or WinXP mode in Windows 7? Some stuff just won't run on 7/8/10. By the way, consider Sketchup, it is way, way too easy to learn.